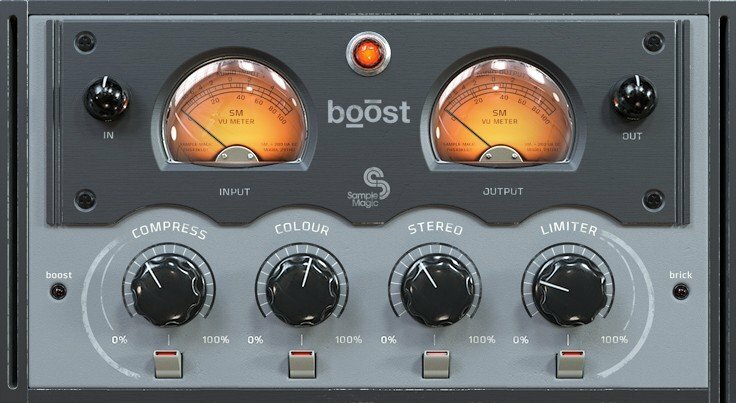 Utilising cutting-edge low-latency DSP, Boost adds multi-band compression, 4-band equalisation, stereo enhancement, brickwall limiting and filters out inaudible low frequencies to give a fuller, louder and wider mix down. Hear dynamics spring to life, drums explode with energy, basslines punch through and high end revitalise with glistening sheen. 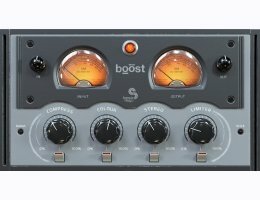 Boost is placed on the mix buss and can be used to master a processed track, subtly enhance an already finished project, or completely sculpt the dynamics of your song from start to finish, breathing fresh life into your music and readying for commercial release, club or radio play. Take an idea from start to finish using just 4 simple smart controls. And Boost is not just for the mix buss. Place it on a muddy drum track for meaty width and energetic flare, give vocals a multi dimensional stereo edge, remaster old productions, fix live performances, DJ mixes and voiceovers. Get foley recordings broadcast ready, redefine muddy midrange and make cumbersome, CPU-intensive mix chain processing a figment of the past. The Compression parameter increases the effect of the multi band compression on the audio. Although just a single knob, this macro controls many parameters simultaneously on the incoming signal. Each of the included presets provide a slightly different style of Compression, with varying amounts of make up gain, attack, decay times and crossover frequencies.